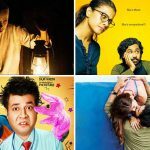 This Friday released the several noticeable offerings- Helicopter Eela, Tumbbad, Jalebi & FryDay have unfortunately opened on a dull note due to low initial buzz. 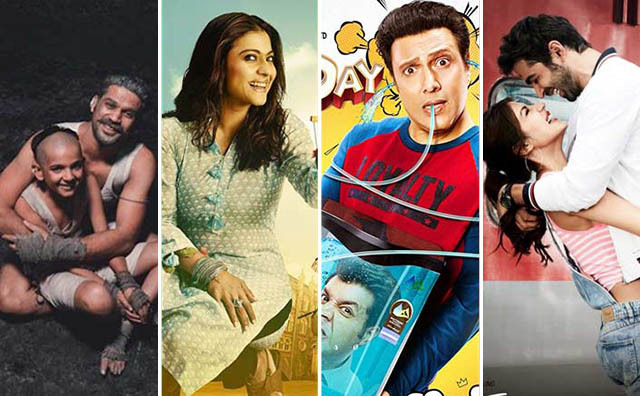 Despite mixed & positive feedback, all the new Hindi movies are not attracting enough audience toward theaters. The comedy-drama with Kajol in lead role, Helicopter Eela has got failed to entertain the audience completely. As a result, it has received mixed reviews and did the business of only 0.75 crore on Friday. On Saturday, with a little jump, it collected 1.10 crore and raised 2 days total to 1.85 crores. The next one is highly-promising filmmaker Anand L Rai’s horror fantasy Tumbbad which has received good reviews for the trailer and the film itself. On Friday, it also remained dull and minted 0.65 crore. While on Saturday, with a fair jump in footfalls, it has raked 1.15 crores and raised its 2 days total to 1.80 crores. In parallel, there is Mahesh Bhatt’s presentation romantic drama Jalebi that stars Rhea Chakraborty & debutant Varun Mitra in lead roles. With almost mixed reviews, the movie registered the opening business of 0.50 crore. On Saturday, it recorded a slight growth and bagged 0.60 to take its 2 days total collection to 1.10 crores. The last one is Govinda & Varun Sharma’s first-ever collaboration comedy-drama FryDay which is getting mixed reactions from viewers. On Friday, it collected the lowest number among all the new releases with 0.30 crore. Then on Saturday, with a minimal jump, it collected 0.35 crore and raised 2 days total to 0.65 crore.